I hate talking about money. Seriously, whether it’s about who’s paying for lunch, how much I make, budgeting or the like, there is nothing that makes me more uncomfortable than talking about those little green rectangles. However, setting that aside, the one thing I can and will talk about is saving money, particularly for retirement. I know, the word “retirement” isn’t exactly in our readers’ vocabulary now; instead, earning money at part-time jobs for spending it on school is the main priority, since most of you are in your twenties and thirties. However, my mother, a very wise woman, suggested I go to a financial adviser, since I was going to have to play the money game after moving to a new city for college. The experience was eye-opening, albeit a bit frightening, and really taught me how important saving for retirement despite my young age. I’ll be sharing a few of those tips with you, my fellow working ladies, so that you too can start saving for a more financially secure future. The first and most valuable piece of advice the adviser gave me was to save money. I know that we all have heard, in many ways and by different people, that saving money is important. However, what they don’t tell you is that you should have a specific amount of money to save in mind. The amount of money you have in your savings will vary depending on your particular financial situation, however, your savings should be enough money to serve you well for sudden emergencies, such as car trouble or, more extreme, unexpected hospital visits. Also, if you dip into your savings, the amount has to be replenished as soon as possible, so it’s ready for the next time you need it. To serve as an example, as a part-time working student, my goal was to have at least $2,000 in savings. This has escalated since my graduation and my change to working full-time. Now, I try to put at least $100 a month in my savings to grow my net worth and my confidence in being financially stable. Funds inside the Roth IRA are allowed to be withdrawn, tax-free, at any time because taxes have already been paid upon putting money in the Roth. This differs from a traditional IRA, in the sense that taxes are paid upon withdrawal from a traditional IRA. Essentially, you pay taxes to place money in a Roth IRA or you pay taxes to take money out of a traditional IRA. Withdrawal from a traditional IRA requires you take out a certain amount of money at a time upon starting to withdraw money at a particular age. Roth IRA’s, however, does not limit the amount of money the owner can withdraw. Essentially, the main advantages I saw, concerned withdrawal. As a college student living in a new city, the speed of liquidation of essential funds was, and is, a big reason. Similar to a savings account, being able to withdraw money if an emergency (without needing to be 59) were to arise was a relief; not only to my parents, who I would have been hard-pressed to receive financial support from in a pinch, but to me as well. 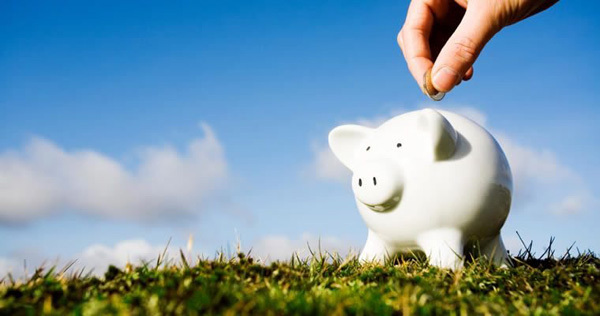 As with the savings account above, depending on your financial situation, set an amount to add to the Roth every month. I started out with $100 a month and have escalated that amount as I’ve started to work more, and just like with my savings account, I have felt more financially stable since I started the Roth. Finally, and probably the most surprising bit of advice I received from my financial adviser, was to “treat yourself.” That’s right; whether it’s that beautiful pair of leather shoes, those sparkly pair of earrings, or that little honey of a red dress, you need to treat yourself, for not only saving but earning your money as well. However, the key to treating yourself properly, is to not over-do it; something I know I am guilty of. No online hauls, despite those big red numbers signaling a sale, and no purchasing that big item that you know you’re only going to wear once. Investment shopping has been a big part of my shopping habits lately, preferring to buy one, good quality item that I love and know I will wear until it falls apart. I have to say, I’ve felt better about my spending and no longer get that icky guilty feeling afterwards. In the end, I get it. We’re young women who would love for our money to simply flood our piggy banks and last an eternity. Well, that may not happen as quickly or as easily as we would like, however, it is possible. By starting to save money at early ages, not only are we preparing ourselves with financial responsibility and realization that nothing in life comes free, but we are also ensuring our stability and investing in our futures.